We design and manufacture wear-resistant solutions that optimize Mining and Aggregate operations worldwide. Corrosion Engineering is a leading global designer and manufacturer of high performance engineered wear-resistant products for the Mining & Aggregate Industries. Over our 40 year history, we have led the industry in the development and application of world-class wear-resistant products utilizing only the finest quality raw materials and technologies. When you choose Corrosion Engineering, you’re choosing unparalleled industry expertise and the highest performing wear-resistant products available anywhere in the world. 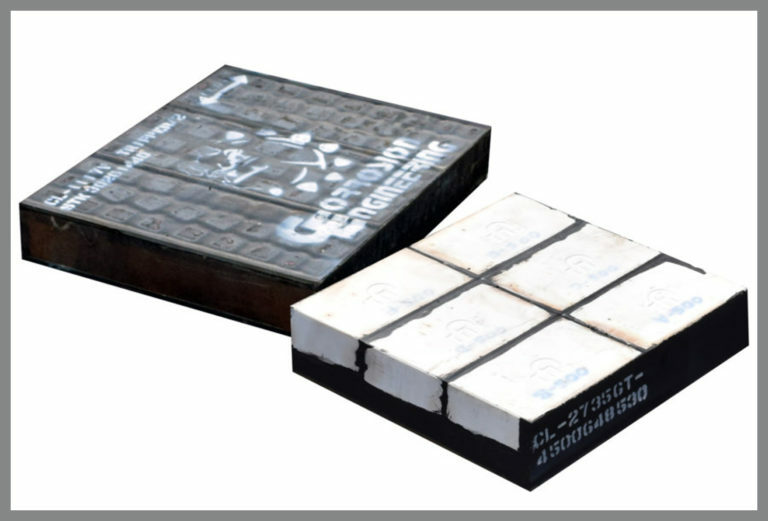 We guarantee our wear-resistant products to be the lowest cost per processed ton compared to any alternative material or system in the same application. Our products are engineered for superior performance and are produced with only the finest-quality raw materials and technologies available in the world. Corrosion Engineering solutions are custom designed and manufactured to ensure optimal performance in every specific application. Our innovative steel, rubber and ceramic products are proudly designed and hand-crafted in the U.S.A. with every product meeting the highest quality standards. With over 40 years of proven history engineering intelligent wear-resistant solutions to tens of thousands of difficult applications, we understand the problems you face. Our high performance wear-resistant products have been successfully applied in every corner of the globe. Corrosion Engineering will partner with you to ensure your equipment and process is optimized with custom, cost-effective solutions that keep your operation running at maximum performance.